Hi! 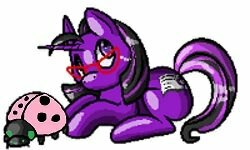 I am a new pony collector and am excited to be on this website! I love g1s and occasionally some g4s. I was not born in the 1980s so I was not able to collect them than, I do not have that many g1s but plan to make it bigger! Happy to see new collectors and lovers of G1. Hope to see you around the forums. Wonderful to meet you! Please feel free to jump right in and if you have any questions, don't hesitate to ask! Welcome to the MLPTP fellow G1 lover! Hello and welcome to the MLPTP! 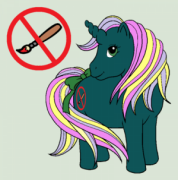 Good luck on all your pony collecting! Welcome to the TP! We have tp for all your house pranking needs! 1 ply, 2 ply, even fortified tree bark for that extry-special touch. G1's are the best! But I might be biased as I did grow up in the 80's.